You might have guessed it from the name but Loyal-Tea is our loyalty program, for all you tea-lovers out there. Here at Chatime, we believe that it’s always good to give something back, so we like to reward our loyal customers with special treats and free teas. It works like this. The more you buy you favourite beverages, the more points you’ll earn, and the more rewards you’ll receive. There are also heaps of other tea-rrific benefits; including our Welcome Offer, a free drink on your birthday and access to exclusive member offers. Sign up today by downloading the Loyal-Tea app for free or pick up a Loyal-Tea card from any of our T-breweries. Make sure you get the app or card scanned every time you purchase and you’ll soon earn enough reward points for a free tea. How do I join Chatime Loyal-Tea? OPTION 1: Download the new Chatime Loyal-Tea app from the iTunes and Google Play store today, absolutely free! You can create your account quickly and easily via the app and start earning points from your very next purchase. The Chatime Loyal-Tea program entitles you to loads of tea-rrific membership benefits. Don’t miss out! Pick up your membership card in-store or download the app today. Does it cost anything to join the Loyal-Tea program? The best things in life are free and that includes our new Loyal-Tea App! You can download it right now from the iTunes and Google Play store, absolutely free. What’s more, you can then take advantage of our app-exclusive Welcome Offer and next drink half-price. So you have lots of delicious reasons to do it and no excuse not to. If you prefer to pick up a Loyal-Tea card from your local T-brewery it will cost you $0.50. Whilst you’re there you can treat yourself to your favourite Chatime and start earning those Loyal-TEA points straight away! Don’t forget to register your card online at www.chatime.com.au/loyaltea. However you chose to join our Loyal-Tea program, there are no ongoing membership fees – just rewards to reap and benefits to enjoy. What sort of benefits will I get? Earn 10 points for every $1 you spend and watch the points pile up. Once you have enough points you can redeem them for the beverage of your choice. We like to say Happy Birthday with a FREE drink, which you can pick up from any T-brewery, at any point during your birthday month. You’ll always be the first to know about all of our exciting new promotions, and receive exclusive membership offers too. What’s more, if you sign up using our new Loyal-Tea app, you’ll discover even more amazing benefits. From app-exclusive offers to fantastic features, such as the T-Brewery locator. You can also use the app to order ahead so you can skip the queue, and customise that order, so it’s 100% you. A totally must-have app for any tea-lover! I’ve just got a new Loyal-Tea card. How do I get started? The first thing you need to do is register your card by adding a few details to your account. You can do this via our website www.chatime.com.au/loyaltea. Once your membership card is registered, simply show your card to the T-rista every time you treat yourself to a delicious Chatime drink. Every time you buy a beverage, you’ll earn more reward points. Once you have enough points you can redeem them for the beverage of your choice. Just our little way of saying thank you for being loyal to a TEA! Oh and make sure to put the right birth date on your account, so you can get your free birthday drink, during the right month! I’ve just downloaded the new Loyal-Tea app. How do I use it? Good job! You’ve done most of the hard work – and wasn’t it easy! Make sure you’ve filled in all the details we need to set up your account, and you are all good to go. Our new Loyal-Tea app is super easy to use. It not only keeps track of your reward points, but it will help you get your hands on your favourites faster. First and foremost: my “CARD”. Make sure you show this to the T-rista every time you buy, in order to pick up your points. You can then keep track as they stack up and it’s easy to see when you’ve earned your free tea. We’ll also send you notifications about exclusive promotions and membership offers, and let you know when you can pick up your FREE birthday drink. The T-BREWERY LOCATOR will help you find your nearest Chatime, give you directions on how to get there, and let you know the opening hours. Last but not least, you can use the app to ORDER AHEAD, so you can skip the queue when you pick it up. You can also CUSTOMISE YOUR BREW, so we can make it just the way you like it. How do I order online using the app? Go to the ‘’ORDER” section of the Loyal-Tea app and select your favourite Chatime drink. You’ll see that you can customise your beverage, by choosing how much ice you want in your drink and select your sugar level. Then, pick your favourite mix-ins to add the finishing touch. Once you’ve got your order sorted, you can set your pick up time. If you are already on route you’ll probably want your next Chatime ASAP, or you can arrange to pick it up at a later time, so you can swing by when it suits you. Either way, you’ll never have to queue at Chatime again! Keep in mind, you will need to be connected to the internet (through WiFi or 4G) in order to login and use the app. Can I still place an order using the app, if the T-brewery is closed? Super sorry, but you won’t be able to place an order or pre-order your drinks if the T-brewery you’re ordering from is closed. You can only place an order during opening hours. What current payment methods are available on the Loyal-Tea app? To pay using the ‘ORDER’ feature on the app, you will have to link your account with a bank card or credit card. You can also ‘pay’ using the reward points you have collected, once you have enough to redeem them for your beverage. We’re always working hard to make the Chatime experience even better. In the near future, we will also be able to accept Chatime Gift Cards, Apple Pay, AliPay and WeChat Pay via the app. We’ll let you know as soon as these new options are available to you. If you have already placed your order on the app, you will need to contact the T-brewery you ordered it from immediately, in order to make any changes to your order. Hurry, there’s no time to lose! Well that’s annoying! Have you tried resetting it? Click here or where it says “Forgot your password? Click here to reset it”. You will need to enter the email address linked to your card or account. Then we’ll send you an email, so you can reset it. This time, try and pick a memorable one! If you’re still having trouble, don’t panic! Simply click here to email our Chatime Customer Service Team and we’ll get it all sorted out for you. Make sure you give us all of the info above, so we can help you as soon as possible. Sorry about that! This could be caused by a couple of things; your latest card number might not be registered with us yet or your personal details could be out of date. Don’t worry, our Customer Service Team can fix this for you. They just need to update a few of your details on the system in order to unlock your account. Click here to contact our Customer Service Team. Make sure you give us all of the info above, so we get you sorted as soon as possible. How do I earn my rewards? This is the fun part! And it couldn’t be simpler. All you have to do is present your membership card or the ‘CARD’ screen on the app, to your T-rista, at the point of purchase. Every time you buy a beverage, you’ll get more points. You will earn 10 points for every $1 you spend at Chatime using your membership card or the Loyal-TEA app. Once you have enough points you can redeem them for a free Chatime tea. You must have enough points to cover the cost of your drink – you can’t use them to discount the prices of a drink. For example, to pick up a $5.20 Chatime tea for free, you will need 520 points. One of the other great benefits of being a member is you get a FREE birthday drink, during your birthday month – and you earn that one just by being born. Make sure you give us the correct date of birth, so we can send it to you in the right month. Keep an eye out for other amazing offers that you’ll receive along the way. And don’t forget to sign up to email, so you get all our promotional offers straight to your inbox. Can I check how many points I need to get my next reward? Why haven’t I received my points? Don’t panic! It can sometimes take up to 24 hours for your reward to be loaded into your account. If your reward still does not appear after this time or you are having trouble with your account, click here to contact our Customer Service Team and they will be happy to help. Please note – you cannot earn points on any discounted promotions (except Student Edge offers) e.g. Loyal-Tea app welcome half price offer. How do I redeem my points for a FREE Chatime? Once you have collected enough points for a free drink, simply let the T-rista know you want to use them at the point of purchase. They will scan your membership card or the ‘CARD’ screen on your app for you, and you can walk away without paying a cent. You can also place your order on the app and choose to pay with your points at the checkout screen, if you have enough for a freebie that is. So you can skip the queues and skip paying as well! How do I get my hands on my FREE birthday drink? One of the best things about being a member of our Loyal-Tea is that we offer you a FREE drink for your birthday, so you can celebrate yours in the tastiest way possible! You can pick yours up from any T-Brewery, at any point during your birthday month. Please note, to get your hands on your FREE birthday drink, you need to have been a verified Loyal-TEA member before your birthday month. You must also have made at least one purchase in the last 3 months (excluding discounted purchases) – but that’s not going to be hard! If you have the Loyal-Tea app, you’ll find your offer in the “OFFERS” section on first day of your birthday month. If you have a membership card, we’ll send you a an email. The notification/email will contain a unique barcode. Please note, this barcode will expire at the end of the month, so don’t forget to use it while you can! Pop into any T-Brewery, during your birthday month, and simply show the T-rista the email or your Loyal-Tea app, at the point of purchase. You will also need to show a valid photo ID. You can also place your order using the Loyal-Tea app, then select your birthday drink offer at the checkout to pick up your tea for free! Your FREE birthday drink entitles you, the birthday person, a Chatime tea – any size including one mix in. Please note, you only get one FREE birthday drink, so don’t try and be sneaky! What happens if I typed my birthday incorrectly? Oops! You’ll only be able to pick up your FREE birthday drink if you have a verified membership card and a valid photo ID. But don’t worry, we’ll get it all sorted out. 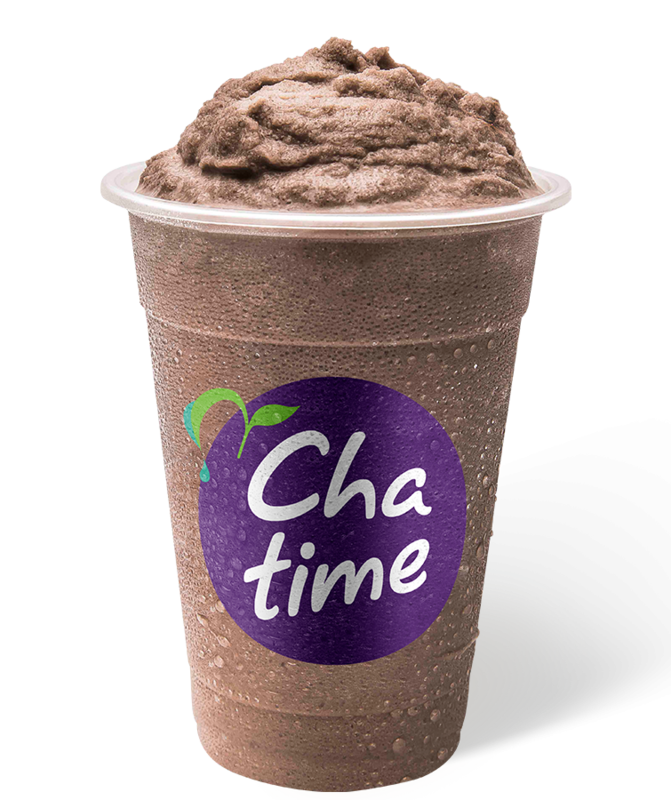 Simply click here to contact Chatime Customer Service Team. We’ll put the correct birth date in the system for you and you’ll be good to go in no time. Welcome Offer: No expiry. One time use only. The specific expiry date for any offer or reward will also be written on the offer or reward itself. You will find these on the Loyal-Tea app or in the promotional email we sent you. *If you qualified for your birthday drink throughout your birthday month, you will be sent the offer the following day and you will then have 30 days to claim your drink. Once I’ve registered, is it possible to change the details on my account? You won’t be able to change your email address once added because that is the unique username ID for your account. If your email address does change for any reason, please contact our Customer Service Team and they will update your details for you. That way, you don’t have start all over again and you won’t lose any reward points. Why do I need to register to join the Loyal-Tea program? It’s simple really, we need you to register with your email address, so you can log in to your account. Your email address will become your unique user ID, so we know who you are and how many reward points you’ve got. Otherwise, you can’t get your rewards! If you choose to ‘Opt in’ we can also let you know about exciting new things, like fresh new flavours and local events, and send you exclusive promotional offers, of course. What happens to my details when I register an account? We understand your privacy is really important to you, and we respect that. All of your personal information will be kept secure with us and will not be shared with any third party data collection agencies or other marketing or advertising programs. We only use your details to link your membership number to your transactions, so we can give you all the points and rewards you deserve. If you choose to ‘Opt in’, we will also email you to let you know about all the latest Chatime news, offers and events. Can I use my Loyal-Tea Card in other countries? We’re sorry, we love to travel the world too. But unfortunately, at this stage, you can only earn or redeem Loyal-TEA points in Australia. I’ve lost my Loyal-Tea card. What do I do now? Bad news first? The bad news that we do not currently offer replacement cards. But the good news is, you can get yourself a new membership card from any of our T-breweries for just $0.50. The great news is that you haven’t lost all of your lovely Loyal-Tea points. You can simply transfer them from your old card to your new one. Alternatively, you can go card-less. Simply download the Loyal-Tea app from the iTunes or Google Play store for free. All you have to do is log in using the same email address and password you used for your Loyal-Tea card account. and all you reward points will be right there and waiting for you. Once you’ve picked up a new card from any of our T-breweries, you simply need to email our Customer Service Team and they will set you right up. Click here to contact us. Our super-helpful Customer Service Team will help you transfer all your points from the old card to the new, so you don’t miss getting your mitts on a taste-tastic tea for free. Are we discontinuing the membership cards? Still loving the old Loyal-Tea card? Don’t worry, we’re not discontinuing them yet. We will continue to sell membership cards to customers that ask for them, for $0.50 a card. But we do recommend customers download the new Loyal-Tea app for FREE instead. Not only that, but it comes with a whole host of fantastic features that you just can’ta get on a plastic membership card. We will also be offering a bunch of EXCLUSIVE DEALS to our app-members only, so it definitely benefits you to get on to the app! Can I buy a Chatime Gift Card? Yes! If you want to give someone the gift that keeps on giving, just pop into any Chatime T-Brewery and ask one of our T-ristas to charge up a Gift Card for you. You can add any value in multiples of $10, so you can give as much tea-loving as you want! Glad you asked! It’s always exciting to hear that someone wants to join our team and we’re always on the lookout for new talent. The first thing you need to do is fill out one of our employment forms online and hit submit. You can find the form right here. Fingers crossed, we’ll be able to find a role and a roster that’s suitable for you! If you are successful, we will be in contact with you shortly. If you don’t hear back from us, it means we haven’t been able to find a suitable position for you at this point in time. 3. What is minimum age I can come and work for Chatime? Australian Capital Territory: There is no set age for when you can start work. But if you’re under 15, there are limits to the type of work you can do and how many hours you can work. New South Wales: There is no age set for when you can start work. Northern Territory: There is no age set for when you can start work. But if you’re under 15, you can’t work between the hours of 10pm and 6am. Queensland: You can start working from the age of 13 years old. In some circumstances, you can also work if you’re under 13. For example, if you work in a family business, the entertainment industry, or in certain forms of supervised employment, such as deliveries and charitable collections. South Australia: There is no age set for when you can start work. But there are limits on the type of work you can do. Tasmania: There is no age set for when you can start work. But there are limits to the type of work you can do when performing in public and selling things in public places. Victoria: You can start working from the age of 15 years old. In some circumstances, you can also work if you’re under 15. For example, if you work in a family business, the entertainment industry. Between the ages of 13-15 years old, you can also work with your parents permission, once you have been granted a child employment permit. You can apply for a child employment permit at the Business Victoria website. Western Australia: If you’re 15 or older you can start work. But if you’re under 15, you can only work some jobs with restricted hours. 1. How many kilojoules are in each tasty cup of Chatime tea? We have fully-tested our entire range of delicious Chatime teas for kJ information. You can find all of the info you’re looking for on our T-Brewery menu and on our online menu. 2. Are your products Halal? We’re sorry to say that Chatime products are not Halal certified. But all our products are gluten and gelatin free, including our marvellous mix-ins. No animal products are used in our brews, except for our teas that contain dairy, of course, and our custard mix-in. When we do use dairy, we always keep it real. We use full cream milk or cream, and no artificial creamers. 3. Are your products suitable for vegans? All of our fruity iced teas are vegan friendly, as well as several of our frozen iced tea flavours, i.e. mango, passionfruit, strawberry, guava and grapefruit. All of our toppings are vegan friendly, except for the egg custard, aloe vera and mousse. Our pearls do not contain gelatin either (even though they look like it), they are made from tapioca instead. 4. Are your products gluten and gelatin free? All Chatime products are gluten and gelatin free, including our mix-ins. As mentioned above, our pearls do not contain gelatin either – they are made from tapioca instead. 5. Do you offer dairy-free milk? Watch this space! This is something we are working on really hard at the moment, to meet the growing demand for alternative milk. We are currently looking into supplying soy milk to all of our stores, and hope it will be available in the near future. If you just can’t wait that long for a dairy-free milky tea, ask the team at your local T-Brewery and they might be able to order it in for you. 6. Where can I find the nutritional value of the drinks? You can check out the KJ content of all our drinks either by popping into our T-Breweries and taking a look at our menus or by visiting our website. 7. What are the ingredients in your teas? Well that would be telling! At Chatime, we work really hard to perfect each and every recipe. That’s why, all of our drinks taste so delicious. But we have to keep some secrets to ourselves, so I’m afraid we cannot not disclose the ingredient list for our teas. If you would like to see a full nutritional breakdown for our teas, please see our menu. And if you have an allergen query, please contact us and we will let you know if there are any teas or mix-ins that you need to avoid. 8. Do you have caffeine-free teas? Sorry, all of our teas contain caffeine. It’s tea after all! However, some of our drinks can be made without tea. Just ask your T-rista at your local T-Brewery and they may be able to serve you a drink without the tea, which would mean it is caffeine free. This mostly applies to the drinks in our ‘Frozen’ Category as the tea content tends to be less in those. Our more popular drinks, such as Pearl Milk Tea or Lychee Fruity Iced Tea, are currently not available as caffeine free, as tea is such a key ingredient! But fear not, this is something we are looking into and hope to have more caffeine free options available for you in the near future. 1. When I’m asked if I want to ‘customise my sweetness level’, what does this mean? One of the great things about Chatime, is that you have the option to reduce the amount of sugar that’s added to your flavoured drink. So you can choose to have the standard recipe, or go for half that amount of sugar, 30% sugar or no sugar at all. You can customise the sweetness levels on all our flavoured teas, except for Guava flavoured, as there is no additional sugar in those recipes. It’s sweet enough on its own! 2. What sort of sugar is used in Chatime drinks? Our flavoured syrups are derived from real fruits and therefore naturally contain fruit sugars. The additional sugar used in Chatime drinks is a Fructose syrup. The amount of fructose added varies for each tea, as some flavours are naturally sweeter than others. 3. How many grams of sugar are there in typical Chatime tea? The amount of total sugar used in our teas varies according to the ingredients used. If you would like to see a nutritional breakdown of our teas (including the grams of total sugar used), you can find out everything you want to know on our menu. To give you a rough idea, our standard teas contain 28g of added fructose which is an equivalent of 361kJ. ** Based on average of 1oz sugar in teas. But if that’s too sweet for your tastebuds, you can choose to reduce the amount of added sugar in your flavoured Chatime. Just ask your T-rista for half sugar, 30% sugar or no sugar at all, and they will customise your beverage for you. We’re sure, whichever option you go for, it will still taste tea-rrific. 4. Why can’t I order a quarter or 80% sugar anymore? Sorry sweetness! We reduced the number of sugar levels there were to choose from to improve the customer experience. We found that fewer options meant fewer questions from our T-ristas, and that means shorter queue times for you. Why not give half sugar a try? You might just prefer it! 5. What if I want extra sugar in my tea? 6. How many kilojoules are in the teas? If you wanted to see the nutritional breakdown of each tea, including the kJ content for all our standard teas, please check out our menu. 7. How many kilojoules are there in a ‘no sugar’ Chatime? Any sweetness found in a ‘non sugar’ Chatime will have come from its natural fruity ingredients. The nutritional information will vary for each tea depending on their ingredients, and you can see all of the info for our ‘no sugar’ teas on our menu. 8. What does ‘regular’ sugar mean? The standard recipe is optimised for flavour and may include some added sugar. When a T-rista asks if you would like ‘regular sugar’, this refers to the amount of added sugar in the original recipe. 9. If I order ‘half sugar’, ‘30% sugar’ or ‘no sugar’, what does this mean? When you order half sugar, the amount of additional sugar is reduced by half. If you order 30% sugar, only a third of the additional sugar in the original recipe will be used. If you ask for no sugar, our T-ristas won’t add any additional sugar to your Chatime at all. At Chatime, we care about our environmental footprint and we are working hard to make improvements. We are currently reviewing the amount of plastic we use and investigating the alternative types of packaging available to us. As you can appreciate, this is a long-term initiative and it will take a bit of time to get right. But please be reassured that we are passionate about sourcing the best quality products and packaging, to give customers a premium experience.